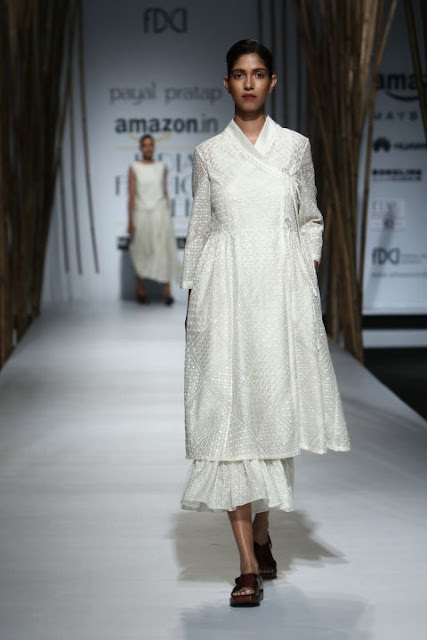 Day 1 Amazon Fashion Week left me super tiered but there was no way that I was missing Day 2. So decled up once more for Amazon Fashion Week Day 2. 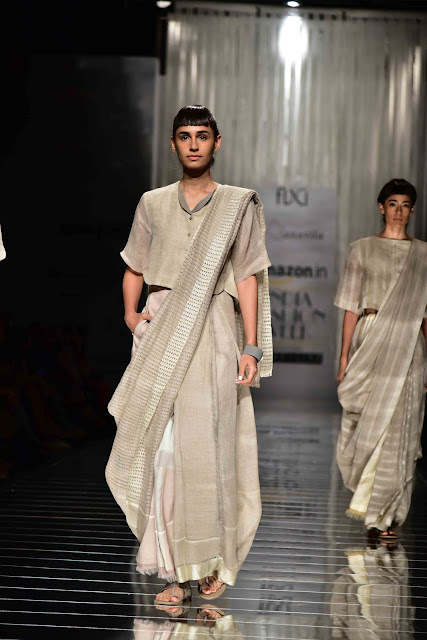 So here I am with the highights of all what hapend on the ramp on Day 2 Amazon Fashion Week SS17. 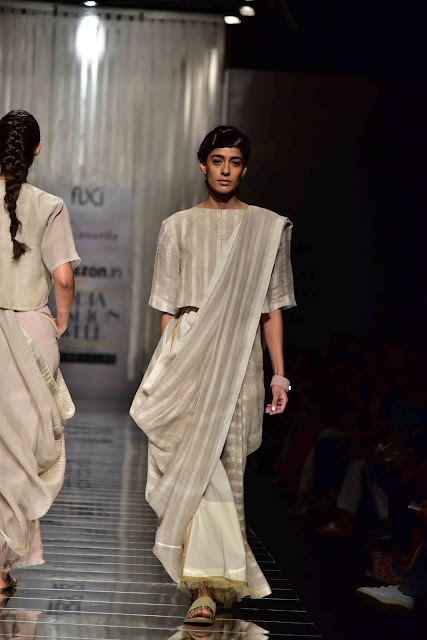 So, Virtues by Viral, Ashish &amp; Vikrant,Pinnacle Shruti Sancheti,Prama by Pratima Pandey,Urvashi Kaur,Akaaro by Gaurav Jai Gupta,Anavila,Payal Pratap,Nexa presents Ashish N Soni &Rajesh Pratap Singh showcased their collection. I started my Day with beautiful collection by Anavila. This was one show that I was really looking forward to. 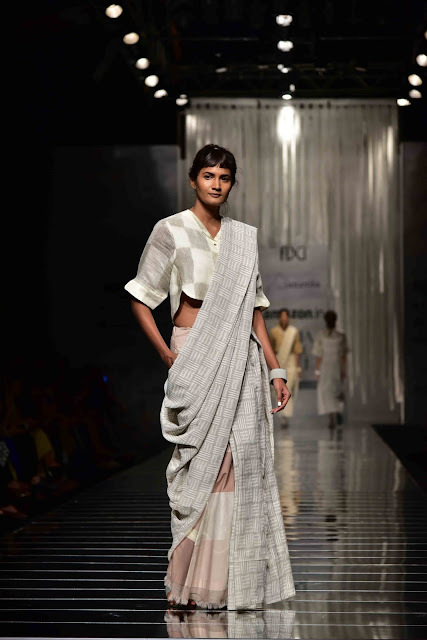 The minimilistic sarees are just perfect for modern Indian women. This time too, Anavila did not disappoint. 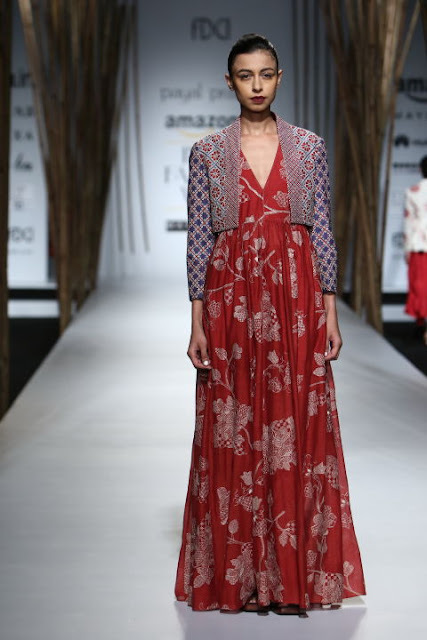 Subttle colors, unstructured blouses and rustic vibe totally won my heart. The other show that got me was Payal Pratap. If you are looking gor something a little fancy, but not anything too heavy, this collection is for you. 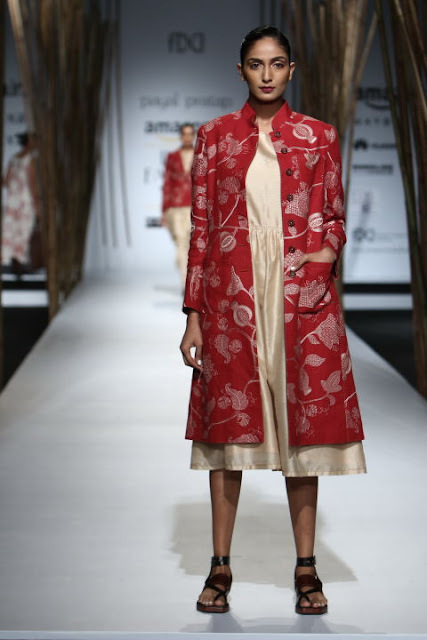 Beautifully embroided jackets paired with dresses and some elegant self embroidered cords is what the collection is about. Its just there, in the middle of dressy and casual. So that is all for the highlights of Amazon Fashion Week SS17 Day 2. 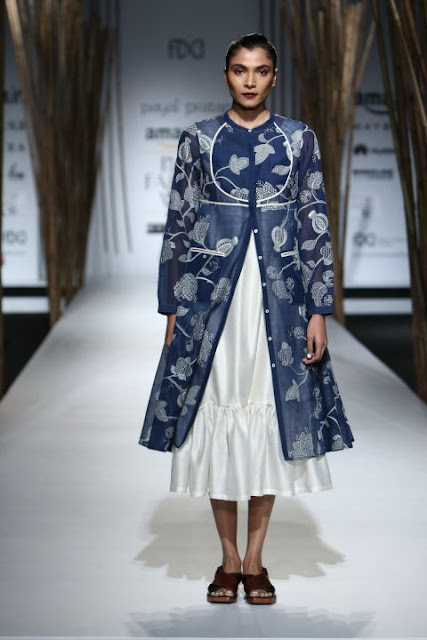 There were a lot of other shows too with nice collections but Payal Pratap and Anavila totally knocked my socks off. See you soon with Amazon Fashion Week SS17 day 3 highlights.